Best Hot Dogs in Valley Forge & Montgomery County, Pa. The unofficial favorite food of summer is hot dogs, and in Valley Forge and Montgomery County, Pa., you'll find the best of the best served up all year long. Check out our list of the best places to grab a hot dog in Montco. 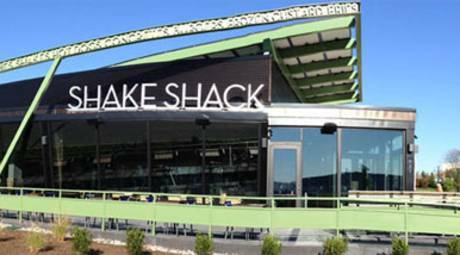 Shake Shack has made a name for itself as a cool, retro-style burger joint, but its beginnings were as a humble New York City hot dog cart. Of course, Shake Shack kicks their hot dogs up a notch, using 100% all-natural meat with no hormones and no antibiotics, served on a non-GMO potato roll. Also, here's an interesting variation: a Chicken Dog made with chicken, apple and sage sausage. Hot dogs are purely an American invention, but that doesn't mean that other culinary outlooks can't be applied to them. Philly's Phamous Steaks & Hoagies has an Italian variety that features potatoes, bell peppers, and fried onions atop the traditional wiener. If you've got room for dessert afterward, give a shot to the fried Oreos. Take a round tube of cooked meat and put it in a rounded roll. Apply the pressure of a bite and often the force can send the dog skittering out and heading for the sidewalk. The experts at Speck's Drive In have crafted a brilliant solution: Rectangular rolls! The hot dog cart often gets a bad rap, especially from the standpoint of dogs swimming in lukewarm water for undetermined amounts of time. Dog Bites at Main and Madison Streets in Lansdale (across from the train station, 11 a.m. to 3 p.m. Saturdays, weather permitting) skirts the entire issue, grilling frankfurters to crispy, dark perfection. Plenty of fresh condiments make this a dog cart that more than cuts the mustard. The Texas Tommy is a classic take on the hot dog, combining it with cheese and bacon. Costa Deli has the best in the area, which is not surprising because it's been making them since 1950. Alexander's Café. The hotdog-ish kielbasa, Polish sausage, here is grilled with sautéed onions and sauerkraut and served with bread. The Schnitzel Haus. German varieties of hot dogs here include Geffullte, bratwurst filled with onions and cooked in mustard and beer sauce with sauerkraut and butter potatoes. Or taste the Gebacken, bratwurst topped with cheese, tomatoes and bell pepper, also served with sauerkraut. Part of the charm in compiling recommendations like this is hearing where the locals go. And time and again, King of Prussia hot dog aficionados favor the Home Depot. They love the fresh rolls, juicy dogs and plenty of toppings, including a chili that overflows with savory meat.